Skrimshander is an aromatic copper coloured pale ale brewed from the finest malted barley and Kentish hops. 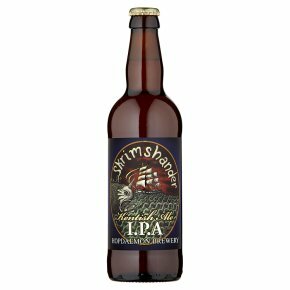 Deliciously fruity with spicy citrus hop aromas Skrimshander goes well with good food and fine friends and has the clean fresh taste and dry hoppy finish of a great Kentish ale. Recommended serving temperature 10-13°C (50-55°F) Remove cap and pour into large glass, sit back and enjoy!